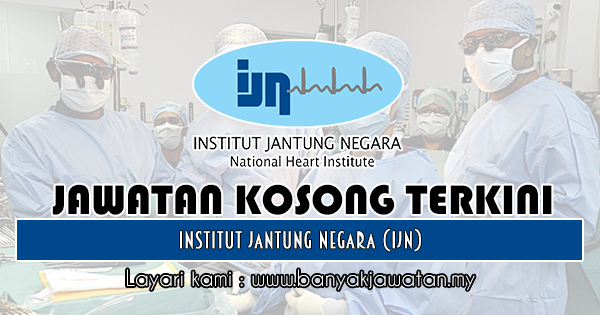 Welcome and thank you for visiting InstitutJantung Negara (IJN) or the National Heart Institute of Malaysia corporate website. We invite you to explore our site to learn more about our services. InstitutJantung Negara is an award winning facility, with an outstanding reputation for clinical and service excellence. We believes in being transparent and we are amongst a few hospitals in the world to share our clinical excellence on our website. A recipient of the prestigious Joint Commission International (JCI) and other international awards, IJN is committed to clinical excellence and improving the well-being of those we serve. Our success is due largely to the unwavering commitment of our employees and affiliated medical staff. IJN’s dedicated team of cardiologist and surgeons, nurses and allied health personnel work to provide our patients with the best quality care in an atmosphere of compassion and spirituality. We envision a future marked by growth, fulfilling our mission to provide the best and most comprehensive health care for our community. From our state-of-the-art facilities and advanced technology to our educational programs and community service, InstitutJantung Negara has a commitment to your health. 0 Response to "Jawatan Kosong di Institut Jantung Negara (IJN) - 17 April 2019"